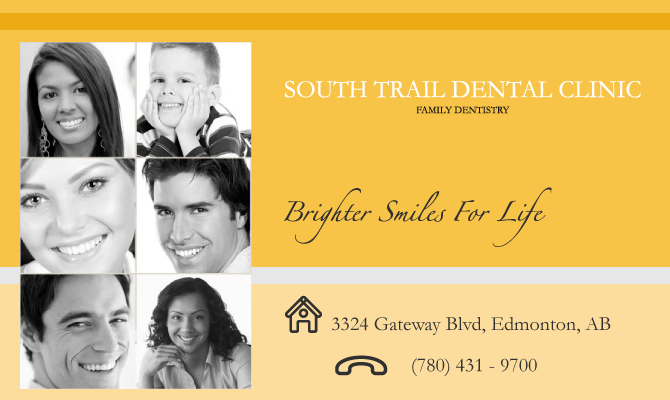 On behalf of the entire South Trail Dental Clinic team we would like to extend a warm welcome to our practice website. Everyone at the practice is committed to providing you with the very best in dental healthcare. Dr. Kenny Lim and his team each bring a level of commitment and experience to the practice and have all attained high standards of professional qualification. Our primary goal is to provide excellence in all facets of dentistry and to carry it out in a gentle and caring way using the latest techniques. An ongoing commitment to modern dentistry is our mandate.